On your job site, you have expensive tools that can be dropped, left behind or stolen. Lost items and the time spent searching for them can hinder your bottom line, which is why you should consider utilizing GPS tool tracker technology. These miniature, easily attachable devices help you protect your investments by locating them in real time, increasing productivity and ensuring your crew always has access to the right assets. 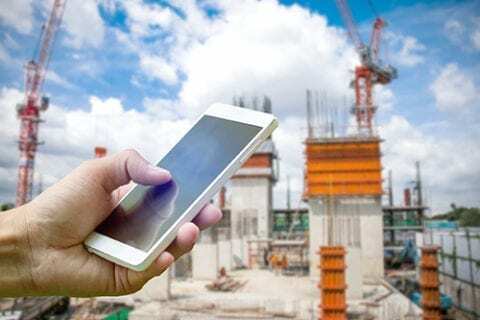 These GPS devices typically operate within a simple Bluetooth-based tracking system, saving real-time updates on your mobile device when any crew member comes within a tool’s radius, which is usually 100 feet. You essentially gain visibility into an item’s movements and timeline. Some trackers even send you notifications when a tool moves beyond its designated area. It’s all about accessing real-time notifications that help you quickly recover assets. These trackers aren’t merely reserved for tools and similar assets. They can also be attached to phones, tablets, computers, radios and keys to job site equipment – anything you’d like to monitor at all times. By investing in GPS tool tracking technology, you save time and money by always knowing where your assets are located. This leads to increased efficiency on the job site.